Interpretations of crustal and experimental fluid flow, relating to Theme 1: Fluxes, Connectivity and Energy. From Neira et al. 2016. What are the key sources and minimum fluxes of metabolic energy to support and maintain subseafloor life? What are the principles that govern physical, chemical, and biological interactions in ecosystems that experience long-term isolation or minimal connectivity? What are the molecular and physiological features of slow-growing microorganisms and how do they coordinate their metabolisms? Theme 1: Fluxes, Connectivity, and Energy centers on subseafloor environmental conditions. We will quantify transfers of fluid, heat, solutes, carbon, and microbes within and between subseafloor biomes, and between the subseafloor and the overlying ocean; determine the nature of energy sources available to microbes in these ecosystems; and develop the next generation of coupled fluid-energy-biochemical-microbial models. Theme 2: Activities, Communities, and Ecosystems emphasizes resident microbial communities. 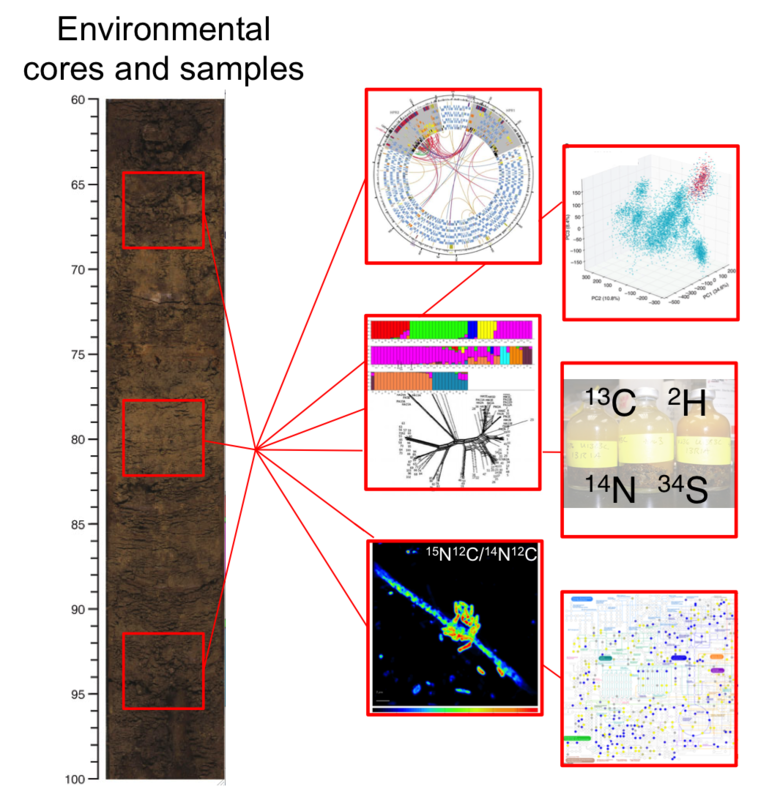 We aim to illuminate the composition of subseafloor microbial communities and the functional potential of these communities, based on the diversity of metabolic activities and interactions with the physicochemical aspects of the system. Theme 3: Metabolism, Survival, and Adaptation concentrates on the actions and traits of individual microbial species. We will build a ‘portfolio’ of selected model subseafloor organisms and characterize their physiological and genetic traits. These microorganisms will be used to investigate energy and carbon use for growth and maintenance under kinetically limiting conditions and to determine rates of metabolism under specific conditions. Our three themes are highly complementary and intimately coupled. For example, fluxes of solutes and available energy sources (Theme 1) will inform on potential metabolic activities (Theme 2), which will be targeted in controlled laboratory experiments with model organisms (Theme 3), with the resulting data serving as input parameters for coupled models of subseafloor ecosystems (back to Theme 1). 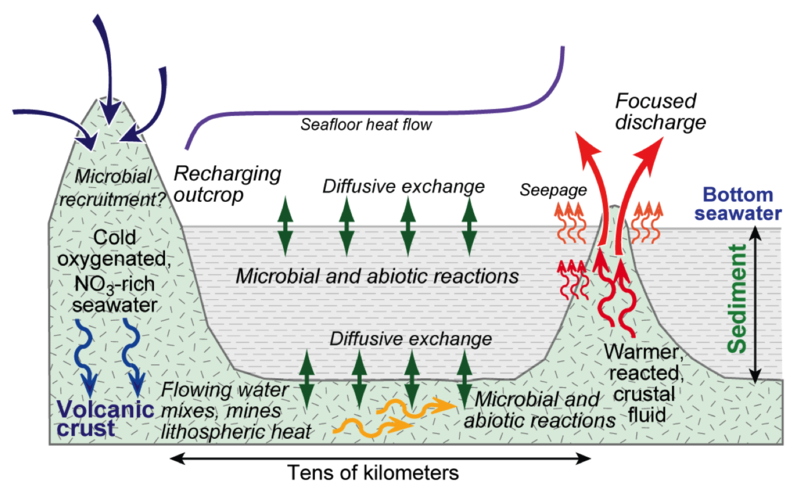 While feedback loops between themes are evident throughout, the order in which the themes are presented is not arbitrary; the founding constraints for microbial life in subseafloor environments are the underlying physical and chemical processes (Theme 1) within which microbial communities persist and build ecosystems (Theme 2), where individual microbial cells exhibit physiological and genetic traits characteristic for life at low energy fluxes and low growth rates (Theme 3). 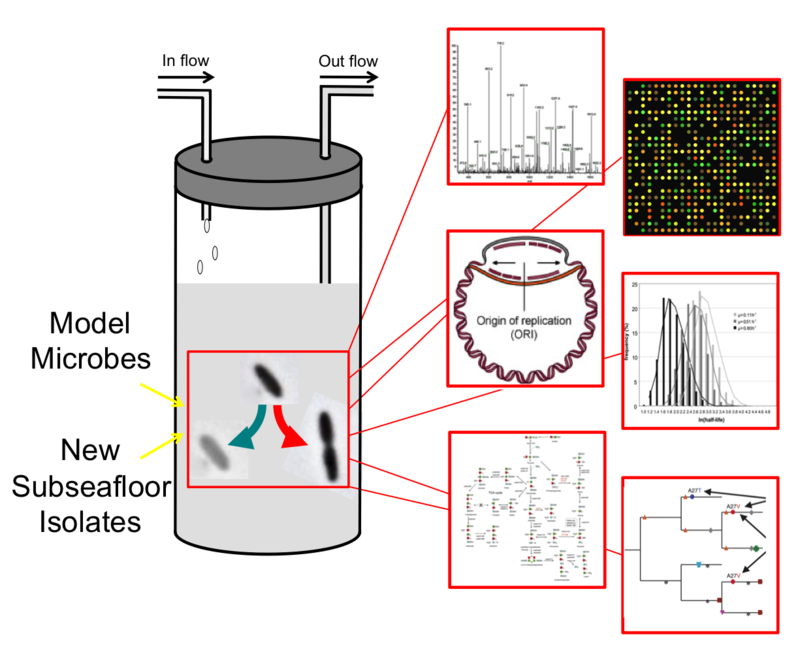 (3.3) Perform adaptive evolution and long-term survival experiments with subseafloor microbes to characterize molecular genetic signatures associated with particular phenotypes.